Do you want know a little bit more about us? 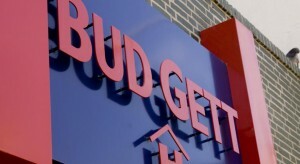 Bud Gett Hostels was founded 2009. In addition to offering a comfortable place to sleep in Groningen centre, we also want to offer you a pleasant stay. We therefore decorated the hostels in the style of Mondrian. Warm, bold colours that make everyone feel at home with us. Bud Gett Hostels Groningen is part of the Martini Hotel Group: a diverse group of hotels, hostels and restaurants in the north of the Netherlands.